I keep forgetting to get my template issues resolved, but I will do so soon. Unfortunately I think it's going to require contacting my hosting company -- hence the delay. Boring admin things aside, after a long summer of not being able to ride as much as I wanted, thanks to work and projects around the house and just general busyness, I've finally been riding more -- at least two, but sometimes three times a week. 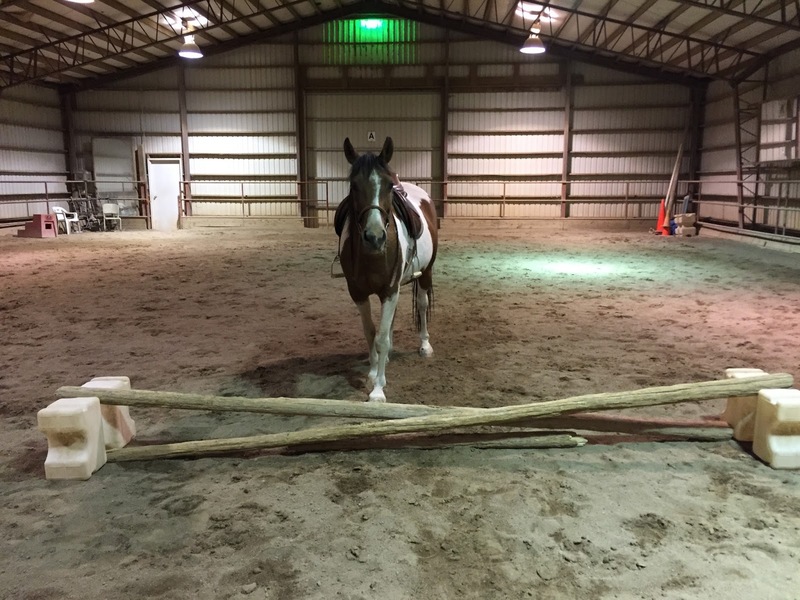 Just last night I decided spontaneously to ride after completing my barn chores, and just as spontaneously decided to do a little jumping. Panama was quite pleased with that plan! Well, once again it has been a long time since I blogged -- or rode. I finally rode again on Tuesday after several months without riding. It was a rough spring, between several springtime blizzards in late March and throughout April, and I had a lot going on in my life that kept me from riding. And then suddenly it was summer. I've been so busy trying to get my patio and tiny garden ready to enjoy this summer, that I almost didn't notice how summery it had gotten. Probably the fact that our weather has been so back and forth this spring didn't help. And then suddenly I was nearly passing out from the heat.